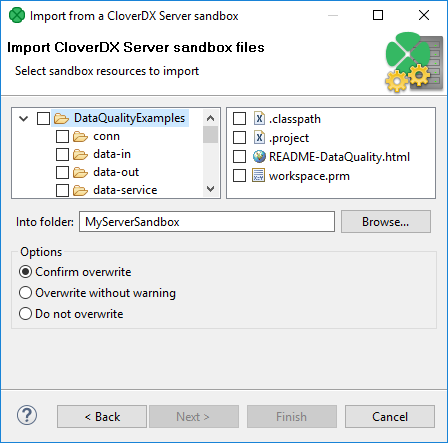 Select the files and/or directories that should be imported, select the folder into which they should be imported and decide whether the files and/or directories with identical names should be overwritten without warning or whether overwriting should be confirmed or whether the files and/or directories with identical names should not be overwritten at all. Then click Finish. 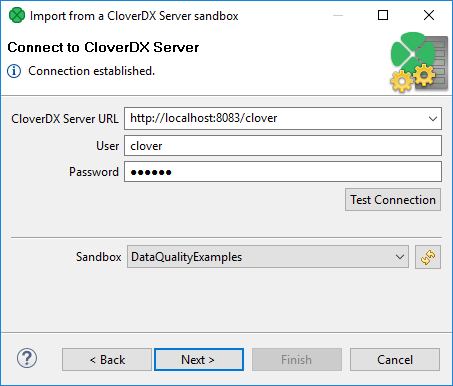 Selected files and/or directories will be imported from CloverDX Server sandbox.